Where Hoover Hall now stands was once home to many trees. While it may have been assumed by some that these trees are gone, never to be seen on campus, this is luckily not the case. This week the trees were put to good use. The trees will be repurposed in many ways all across campus. In the classroom, several biology courses will be using tree ring sections. In addition, there will be tree benches that will be placed in different areas on campus and at the nature park over the next year. “Somebody put a call out to all the artists on campus to do something with the trees that were going to be removed, so I thought to myself in the sculpture department we could always use wood and we could do a bench making project,” said Jerry Bates, woodshop/studio manager and gallery assistant at DePauw. The tree bench project brought DePauw and the school of Lindenwood University together. Jacob Stanley, currently a professor of sculpture at Lindenwold University and who taught at DePauw for a year, brought some of his students to help with the project. 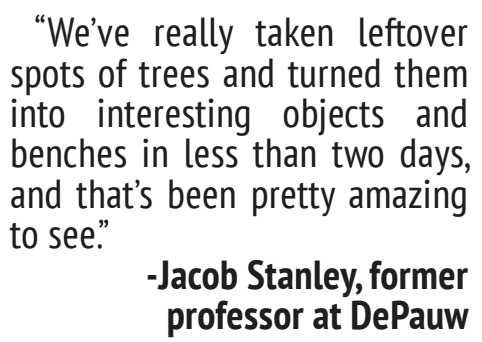 “We’ve really taken leftover spots of trees and turned them into interesting objects and benches in less than two days, and that’s been pretty amazing to see.” said Stanley. The project is particularly interesting, and rewarding. “Well it’s not often that you get material like this to work with” said Bates. The trees used for the benches could not be used by mills, and would have ended up being tossed to rot. The benches maintain a very prominent natural look. Most preserved their branches and bark. “I’ve never seen another campus take wood in this raw of a state and turn it into a bench” said Stanley. The project was seen as a great opportunity for artists to get to work with unconventional materials. Many of the Lindenwood students said their favorite parts were “getting to use the chainsaws.” The bench project allowed for a lot of collaboration and expression of different ideas between the students. 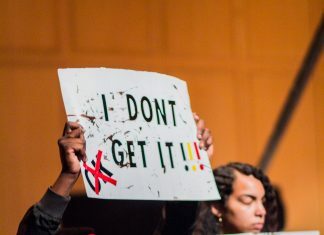 “I'm proud to say that the entire series of projects had a total budget of less than $900 and was completed with student involvement at every stage” said Lori Miles, Chair of the art and art history department, in an email to the faculty and staff on Sept. 21. Miles served as a leader for the Tree Bench project. 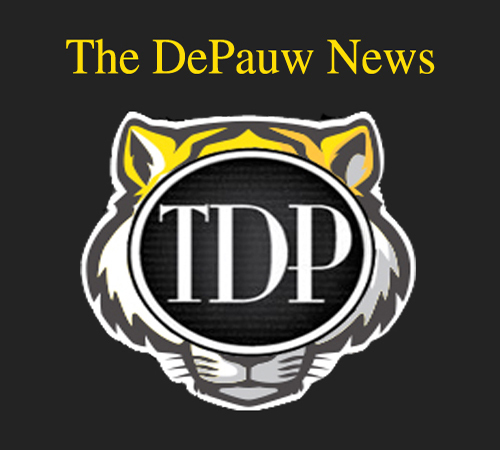 Overall, the project plans to provide DePauw with some functional artwork and has offered new learning opportunities for not only DePauw, but Lindenwood artists as well.